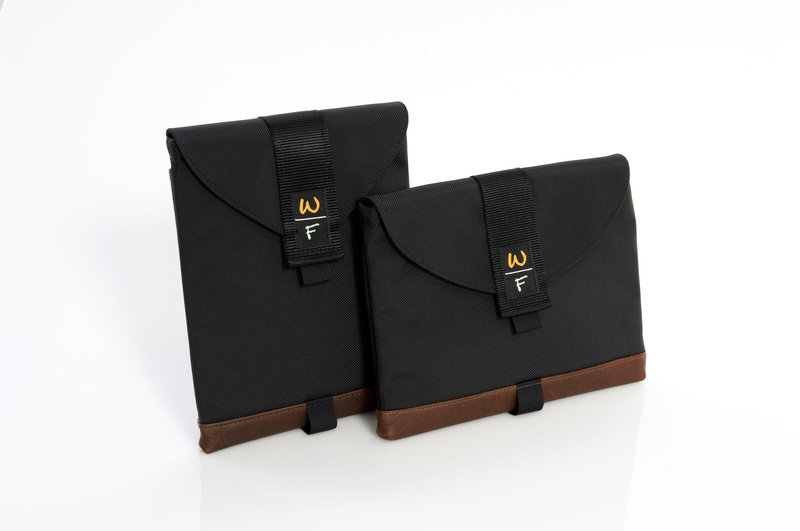 San Francisco manufacturer, Waterfield Designs, adds four Microsoft Surface Pro 3 cases to its product lineup: two protective sleeves—the SleeveCase ™ and the Outback Sleeve—and two tablet and accessory cases that can be converted into minimalist shoulder bags—the Travel Express and the Outback Solo. Each new Microsoft Surface Pro 3 case is manufactured to exacting standards locally in San Francisco. We’re happy to support Surface Pro users with four carrying options so that they can choose the one that best fits their lifestyle. WaterField Designs, an innovative maker of custom laptop sleeves, and designer bags and cases for digital gear, unveils four new custom Microsoft Pro 3 cases: two protective sleeves—the SleeveCase ™ and the Outback Sleeve—and two tablet and accessory cases that can be converted into minimalist shoulder bags—the Travel Express and the Outback Solo. Surface Pro 3 SleeveCase: A water-resistant, black ballistic nylon shell envelops shock-absorbing neoprene for ultimate protection. Two custom sizes: one fits just the Surface Pro 3 and the other fits the tablet with the Type Cover attached. Choices include three trim colors, horizontal or vertical orientation, and add-on options including a lightly padded flap closure, d-rings and a strap, and a Piggyback accessory pouch. TSA-friendly. 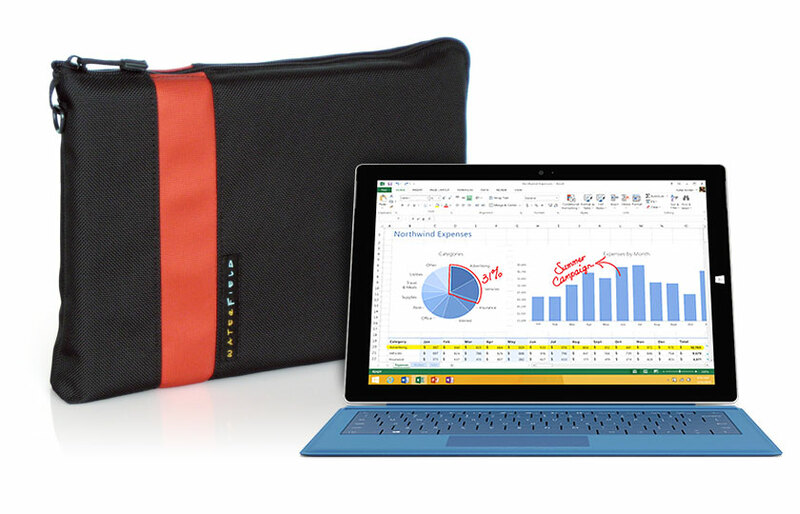 Surface Pro 3 Outback Sleeve: Same excellent protection as the WaterField SleeveCase. 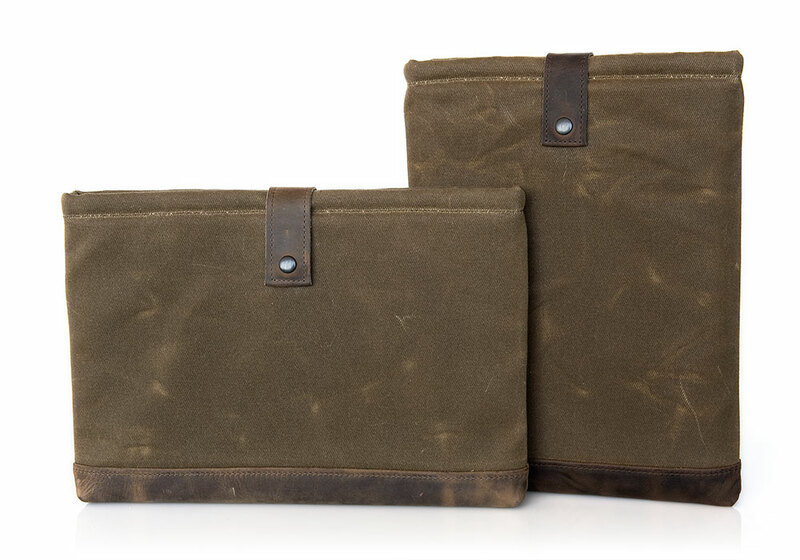 A brown, waxed-canvas shell and grizzly or chocolate leather trim combine for a TSA-friendly sleeve. Two custom sizes: one fits just the Surface Pro 3 and the other fits the tablet with the Type Cover attached. Choices include a horizontal or vertical orientation, and add-on options including a lightly padded flap closure, d-rings and a strap, and a Piggyback accessory pouch; TSA-friendly. 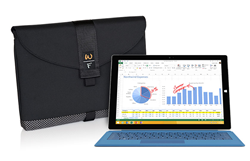 Surface Pro 3 Travel Express: This grab-and-go case includes a custom-sized pocket for the Surface Pro 3 plus space for additional necessities. Features include scratch-free interior pockets, foam lining, an impact-resistant plastic insert, and an optional strap. 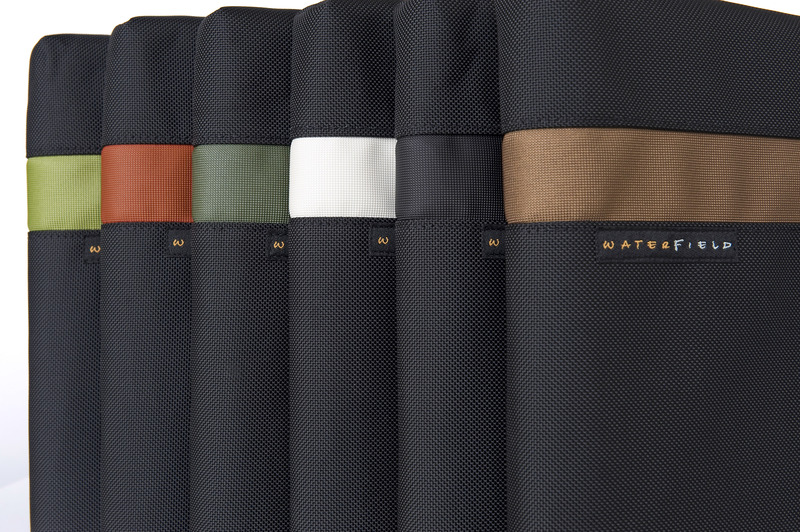 Made from water-resistant black ballistic nylon with a bold stripe in a choice of seven colors. 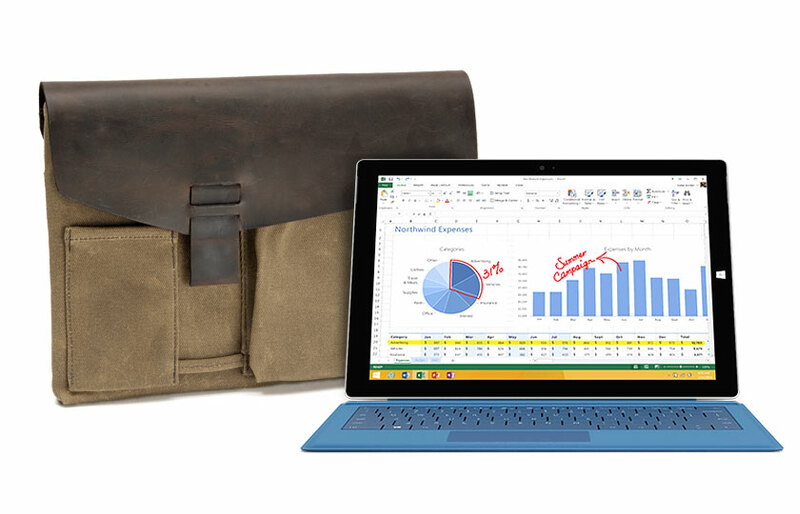 Surface Pro 3 Outback Solo: Two layers of protection—high-grade neoprene enveloped in highly water-resistant, tan waxed canvas. An offset, distressed leather flap secures contents with a firm magnetic closure and lends the bag a vintage look. 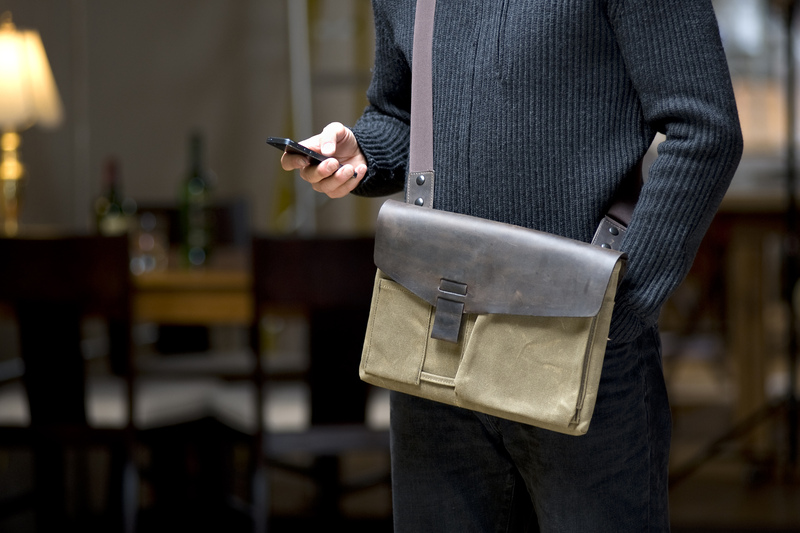 Two front pockets fit a smartphone and necessities like a charger, wallet and keys. 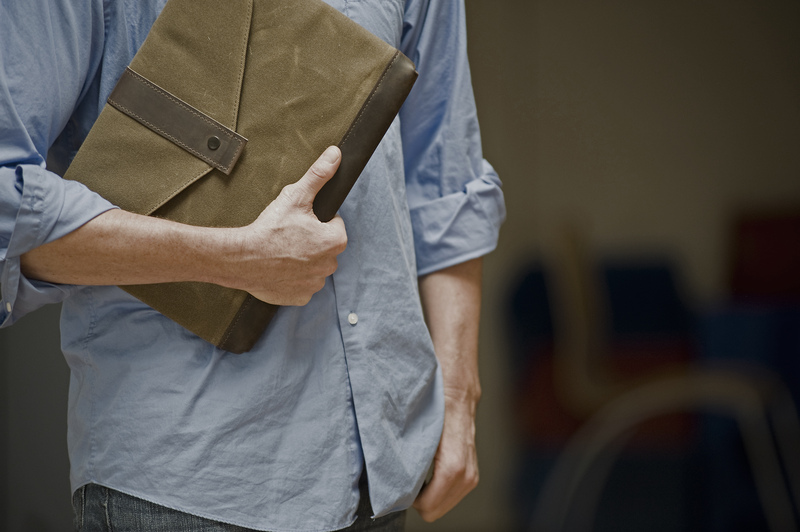 An optional strap transforms the Surface Pro 3 case into a svelte, minimalist over-the-shoulder bag. Price: $49. Size: 16 fits Surface Pro 3 ‘naked’ and size 17 fits Surface Pro 3 with Type Cover. Color: Black with trim in lead checkered Indium, or brown or black leather (+$10). Options—Flap: $15. D-rings only: $5. Simple Strap: $12. Suspension Shoulder Strap: $22. Piggyback accessory pouch: $25-$27. Pre-order now. Ships July 7, 2014. Price: $59. 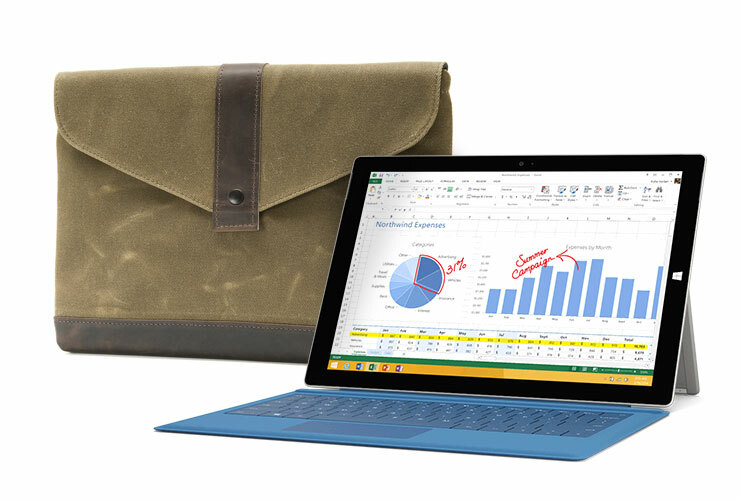 Sizes: 16 fits Surface Pro 3 ‘naked’ and size 17 fits Surface Pro 3 with Type Cover. 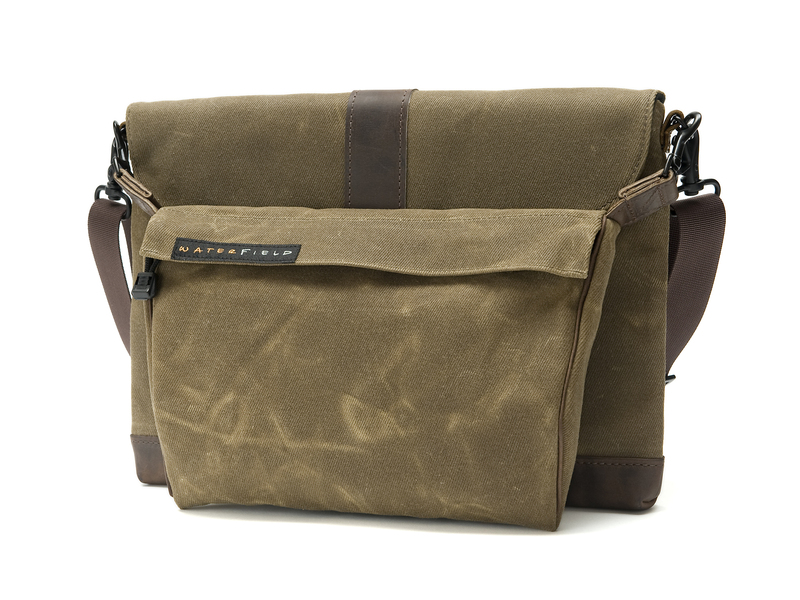 Color: Tan waxed canvas with trim in grizzly or chocolate full-grain leather. Options—Flap: $20. D-rings only: $8. Simple Strap: $14. Suspension Shoulder Strap: $24. Piggyback accessory pouch: $30. Pre-order now. Ships July 7, 2014. Price: $79. One size. 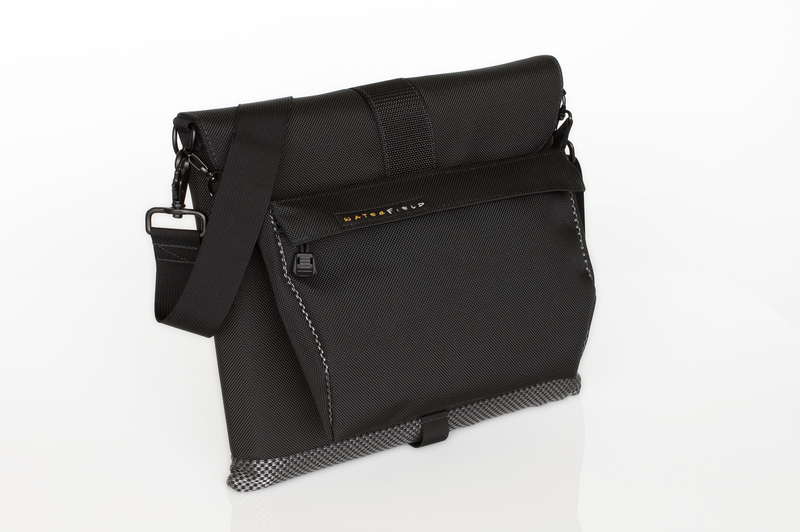 Color: black ballistic nylon with stripe in black, copper, flame, green, pearl, pine, or brown leather (+$10). Options—Simple Strap: $14. Suspension Shoulder Strap: $24. Pre-order now. Ships July 7, 2014. Price: $109. One size. Color: Tan waxed canvas with chocolate leather flap. Options—Shoulder strap: $19. Pre-order now. Ships July 14, 2014. Microsoft Surface Pro 3 Outback Sleeve—shown with optional flap included Microsoft Surface Pro 3 Travel Express—with flame stripe Microsoft Surface Pro 3 Outback Solo Outback Solo for Microsoft Surface Pro 3 WaterField Designs Laptop SleeveCasein vertical and horizontal with leather trim and optional Flap SleeveCase with Piggyback and strap—Horizontal orientation, grey-checkered Indium Outback Laptop Sleeve—Vertical with Grizzly trim) and Horizontal (with Chocolate trim Outback Sleeve with Flap, Strap and Piggyback—horizontal orientation, chocolate brown trim option Outback Sleeve with Flap—chocolate brown trim option Microsoft Surface Pro 3 Travel ExpressMicrosoft Surface Pro 3 Travel Express in black with green, flame, pine, pearl, black or copper stripe.